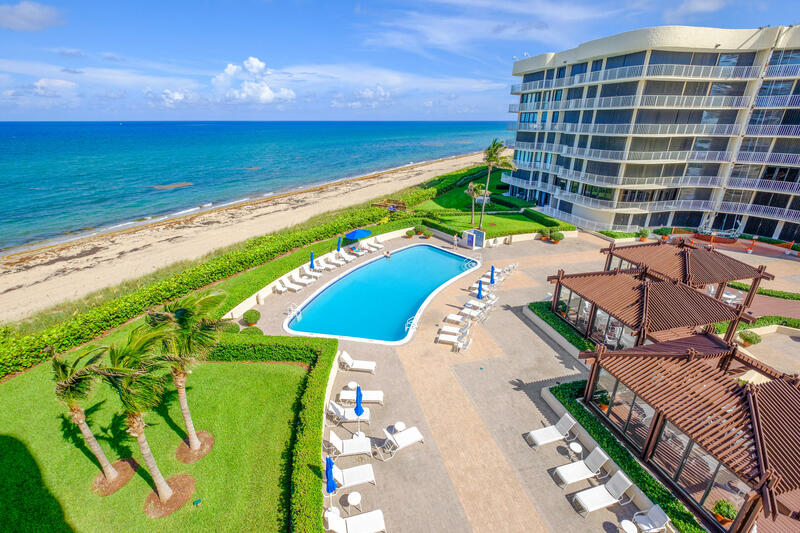 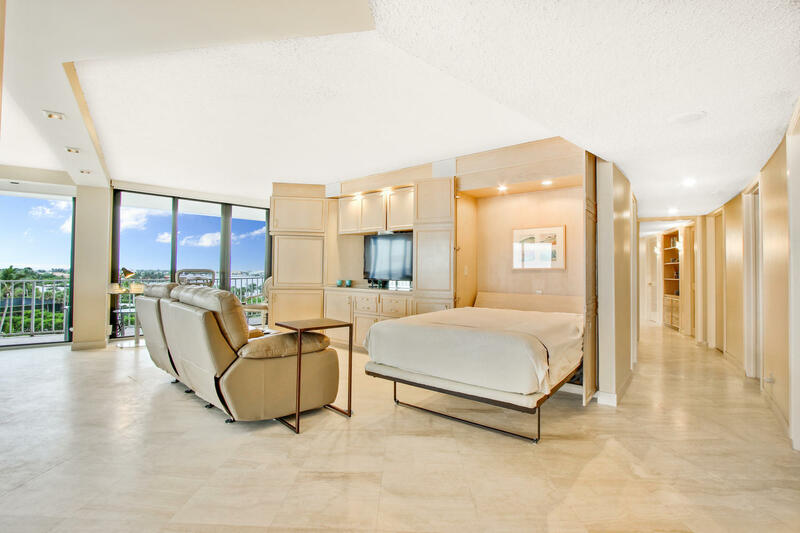 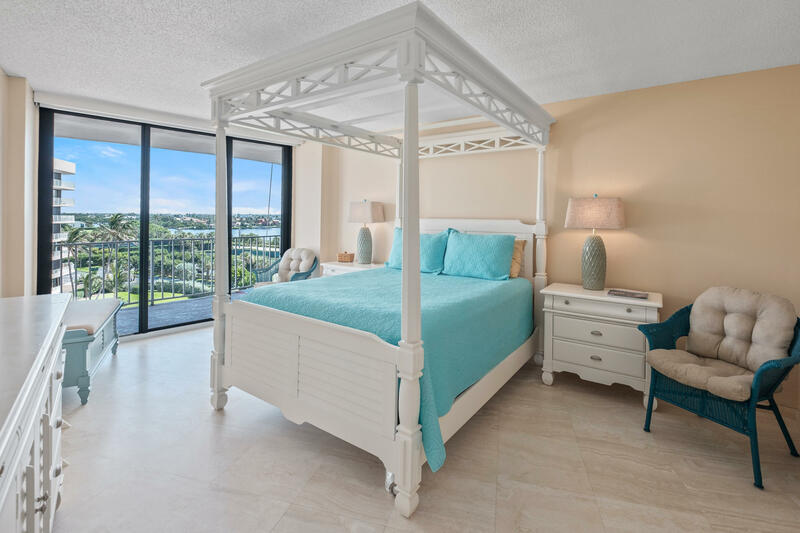 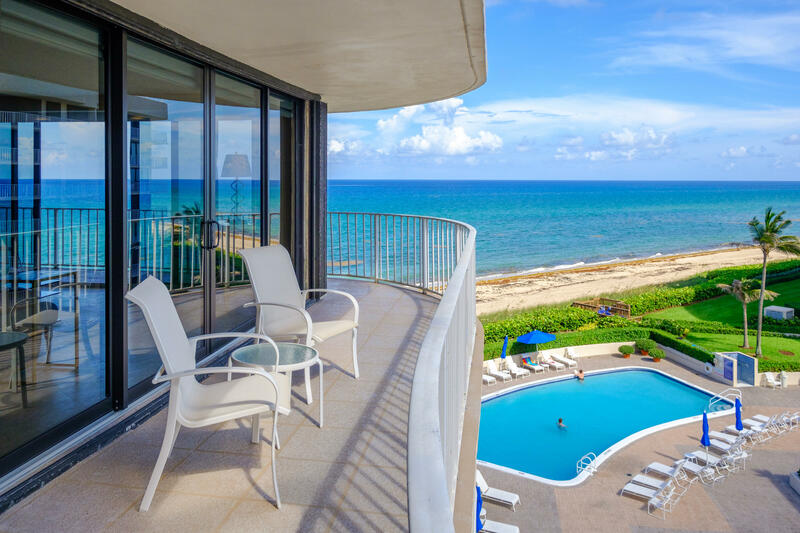 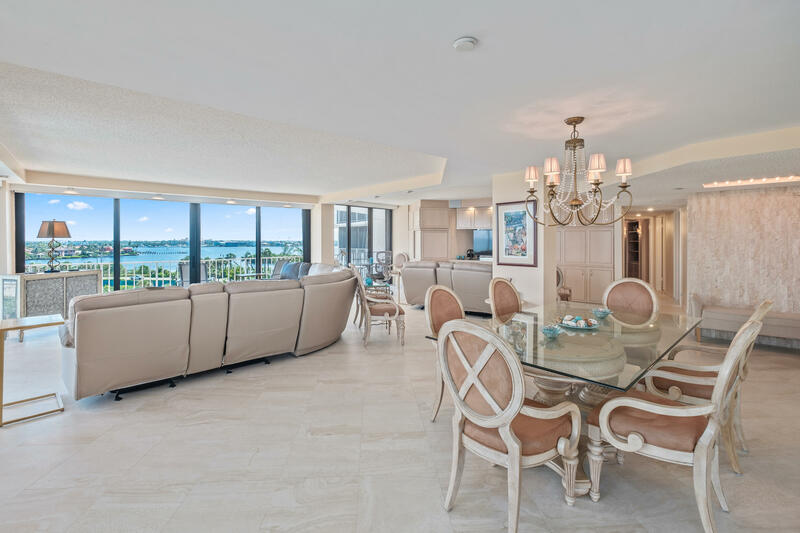 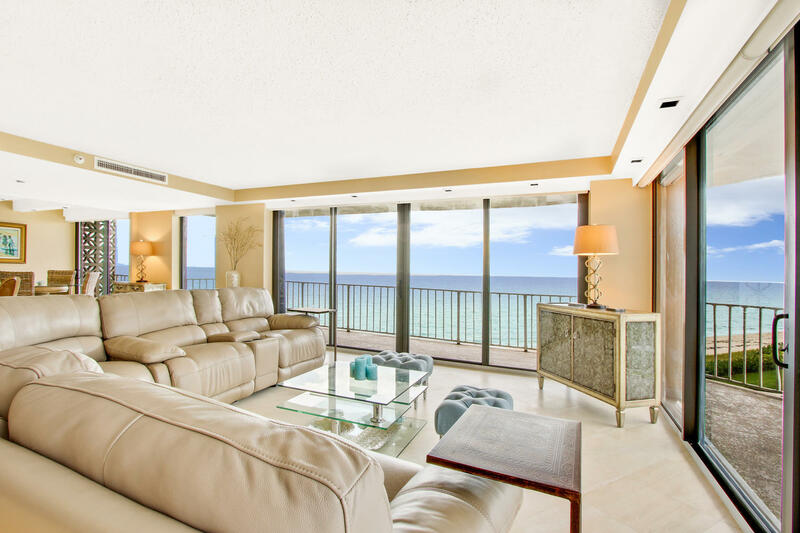 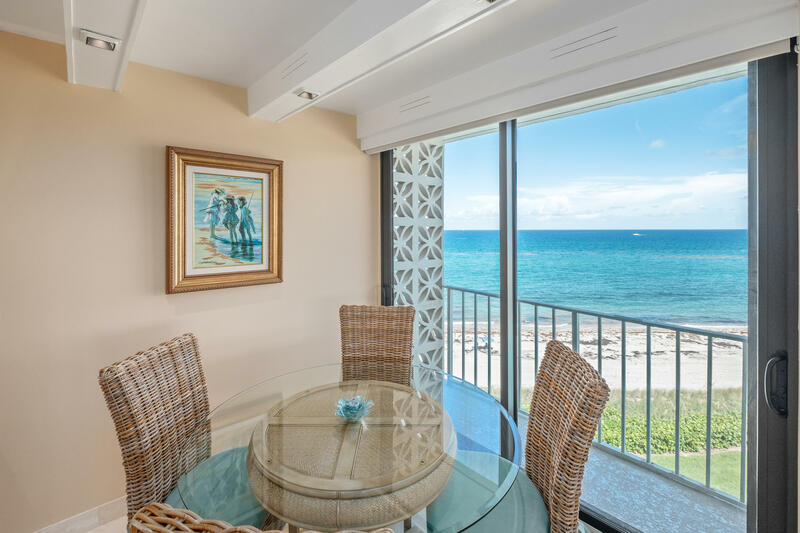 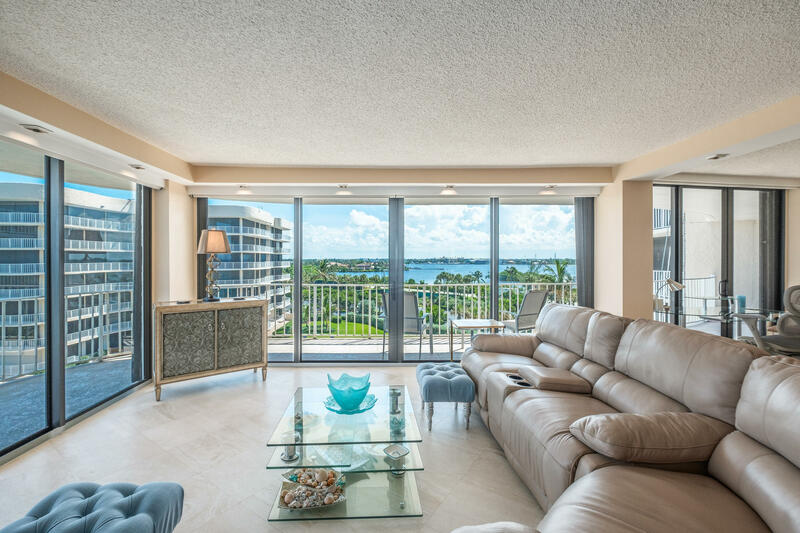 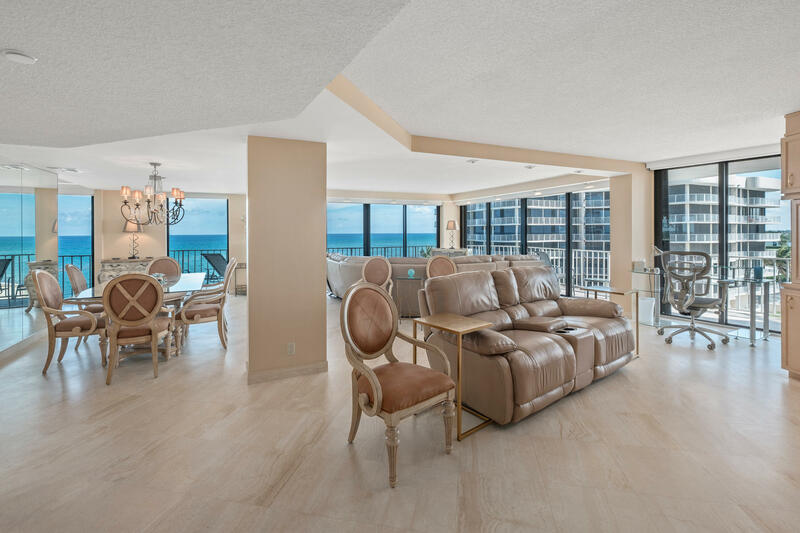 If you dream of waking to crystal blue waters and sandy beaches, the unique double water views of this Southeastern exposure Palm Beach Island retreat include both unimpeded wide oceanfront and blue intracoastal vistas. 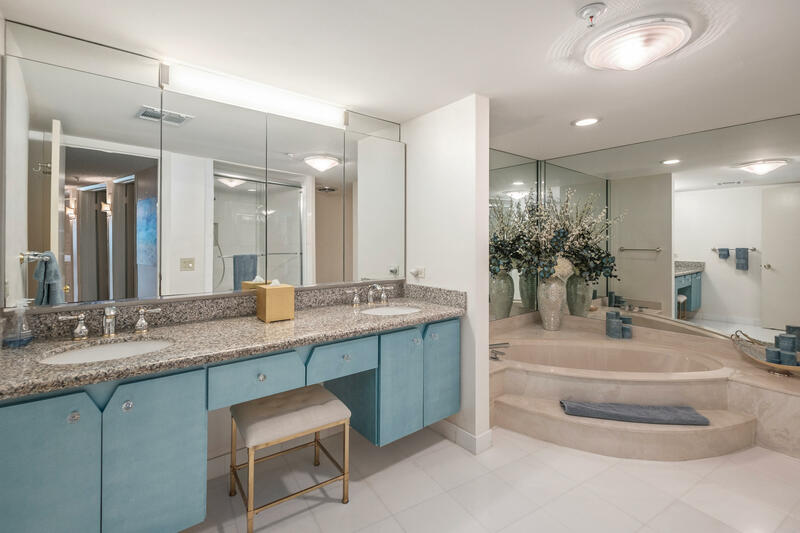 This furnished home offers two private bedrooms, and 2 and one-half baths. 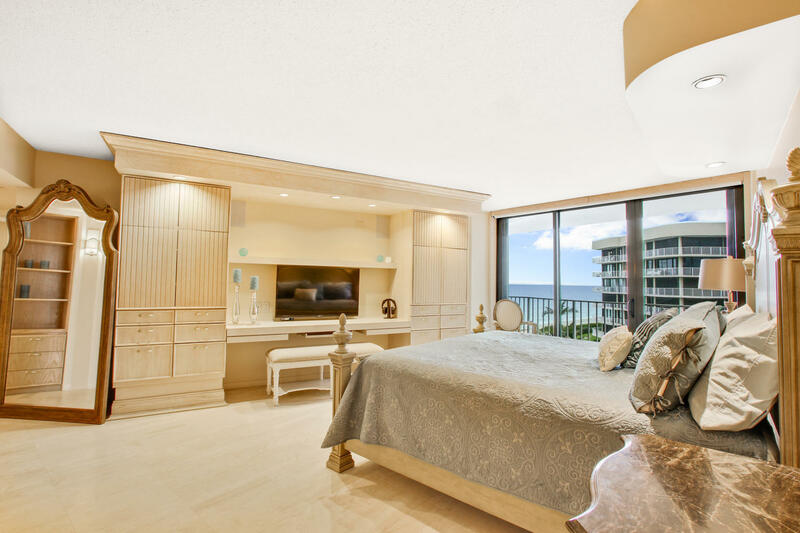 The third bedroom has been opened to the main living area to provide an expansive great room and includes a hide-away bed for additional guests. 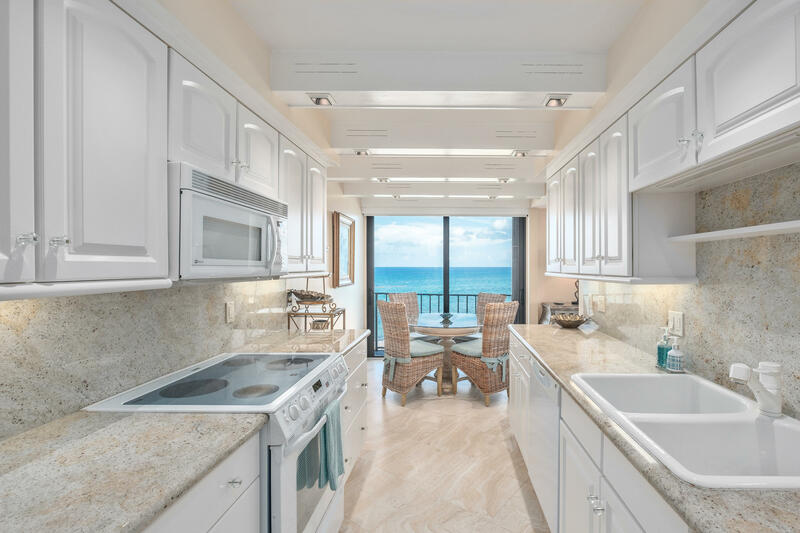 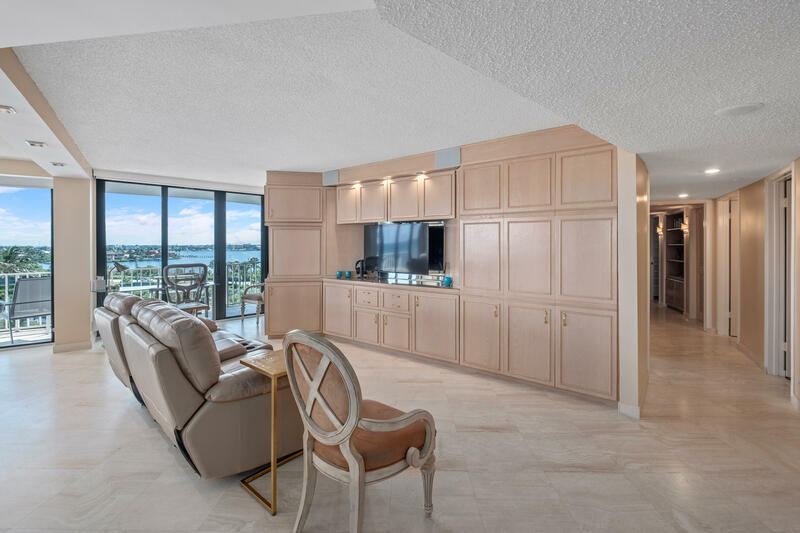 Improvements include electric phantom retractable screens provide privacy and expansive ocean views, impact glass windows, HVAC system with ozonator and UV light. 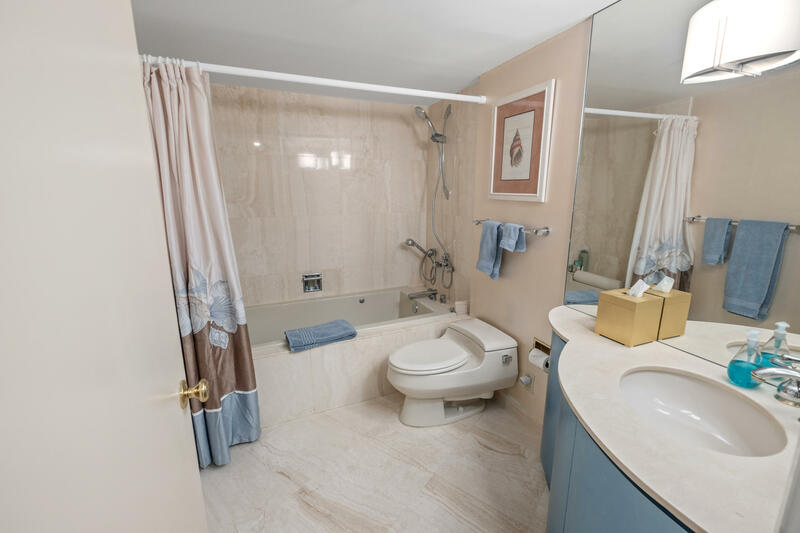 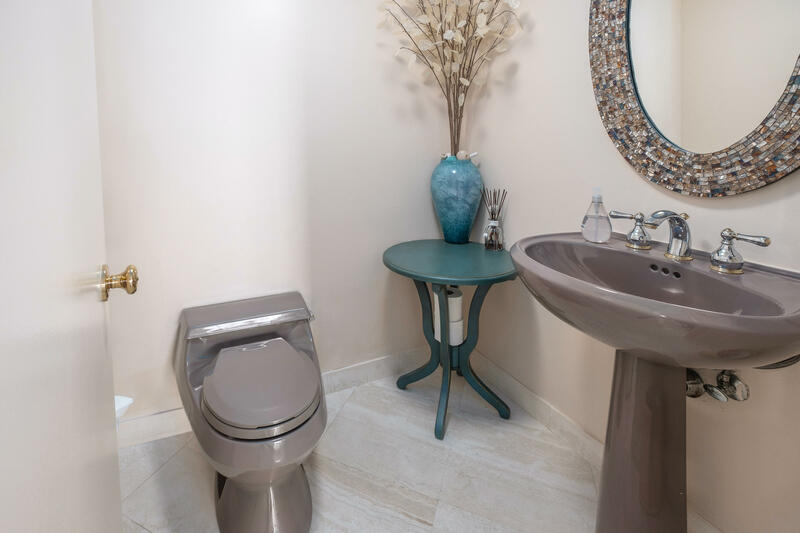 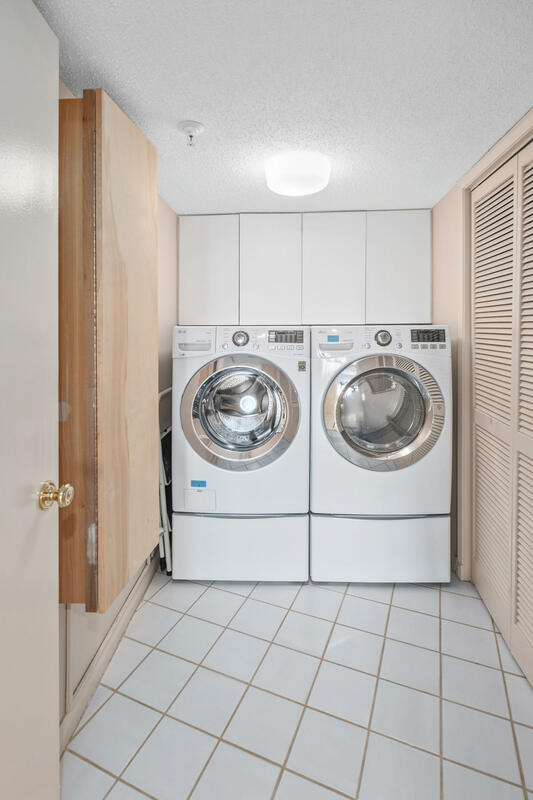 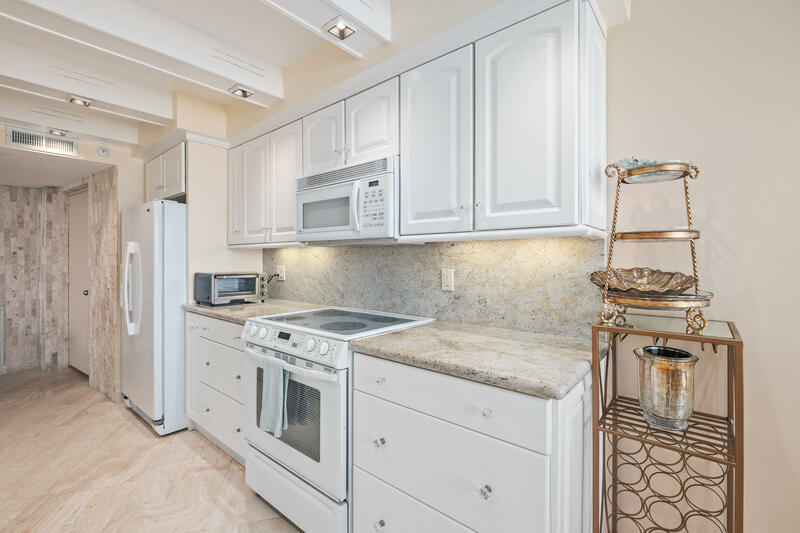 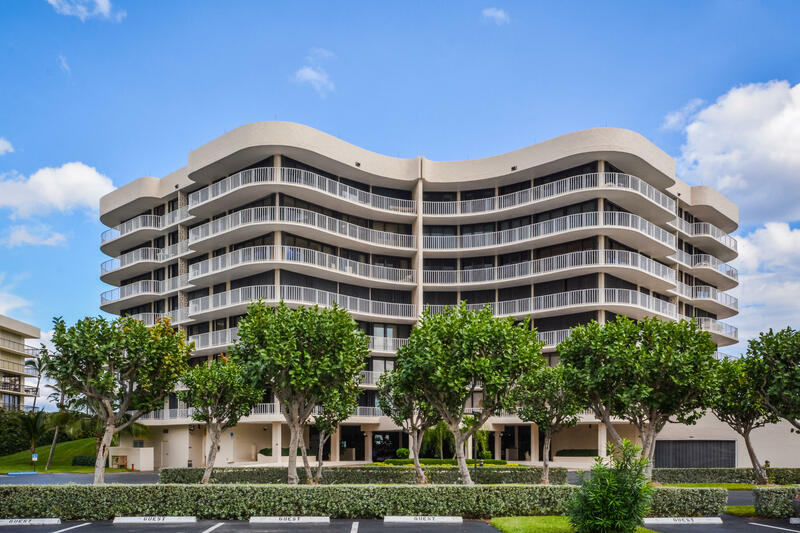 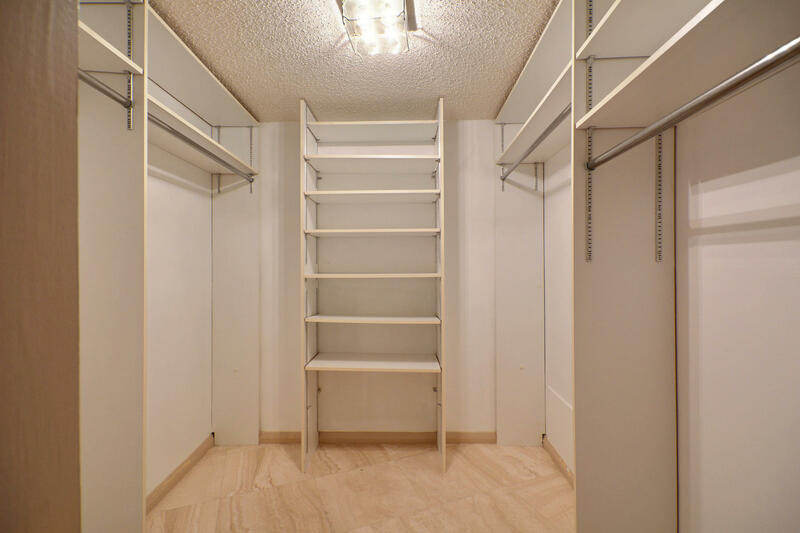 Located within the exclusive enclave of The Atriums, other amenities include garage parking, a full-time door person's attendance; gym with wheel chair accommodations; and his & her sauna rooms.